Before you bring your cat or kitten home, we suggest you contact your local council and enquire about its regulations regarding such things as night curfews, compulsory containment within a property, cat desexing and microchipping. Most cats require grooming assistance from their owners to remove excess hair. This helps in the reduction of furballs/hairballs and matted/tangled fur, which if left, may result in a visit to us. Except at moulting time, short haired cats are able to groom themselves adequately. In contrast, long haired cats require daily grooming by their owners. Furballs or hairballs can cause appetite and weight loss, and in a worst case scenario, result in cat surgery. During the moulting season daily brushing is essential and food designed specifically to assist with the reduction of hairballs will also help your cat process shed hair. Unlike caring for dogs, you should not need to bathe a cat. Cats require a minimum of one cat health check per year. Regular visits help us diagnose, treat or even prevent health problems before they become life-threatening. 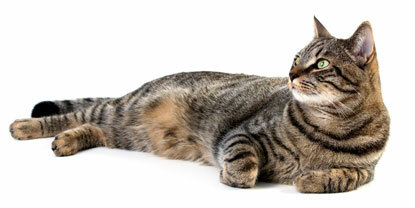 Routine cat vaccinations, worming and flea control form the basics of feline medical care. We can also provide additional guidance on nutrition, behaviour, training and life-stage treatments available. We welcome you to book a vet appointment with us to discuss how to keep your cat in optimum mental and physical health. See us for a CAT VACCINATION or VET PROCEDURES such as CAT DESEXING and MICROCHIPPING? Going away soon? See our Cattery for Professional Cat Board and Over-Night Accommodation Stays.